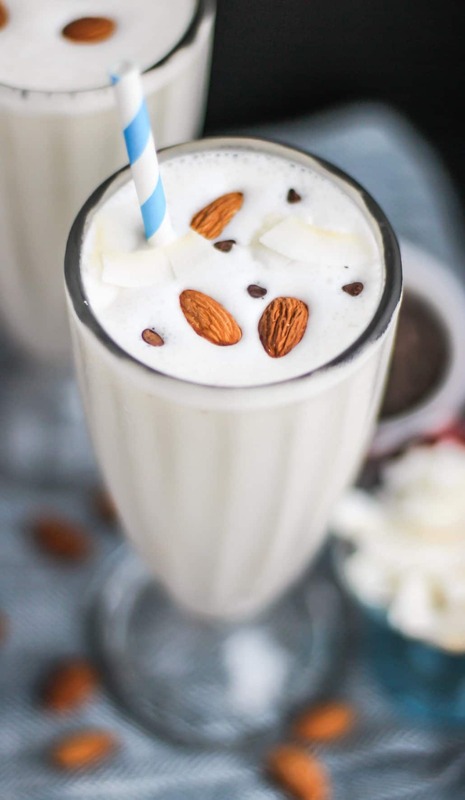 This milkshake is sweet without the added sugar… no need for the ice creams and syrups here. 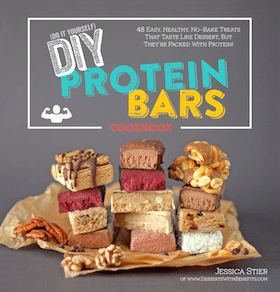 It’s got healthy fats, complete proteins, fiber, and none of the added sugar or high-fructose corn syrup. 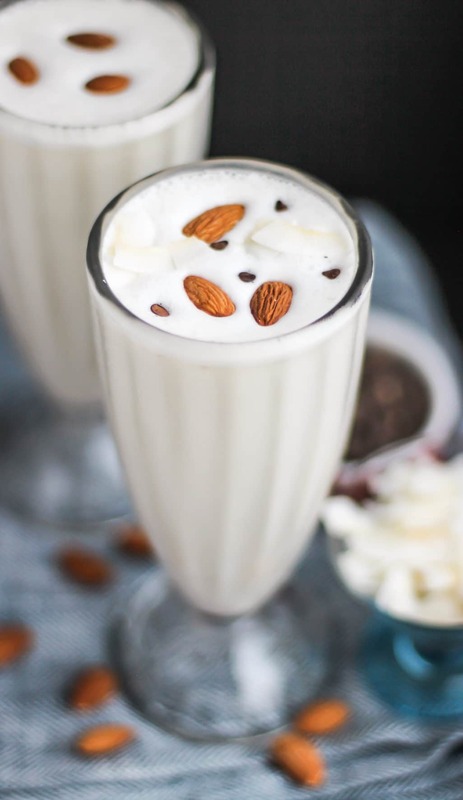 This candy bar-inspired milkshake will keep you full and satisfied, you won’t even crave that sugary-crapola-in-a-wrapper after this! 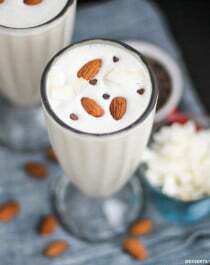 This Healthy Almond Joy Milkshake is thick, creamy and sweet, and packed with almond, coconut, and chocolate! And it's sugar free, high protein, and gluten free too! 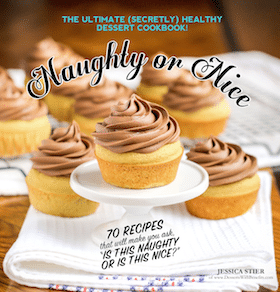 In a high-speed blender, add the yogurt, almond butter, stevia extract, vanilla extract and almond extract. Blend on low speed while you pour in the almond milk. 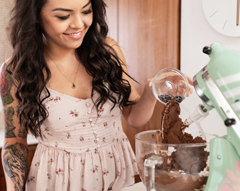 With the blender running, add the psyllium husk powder and puree until completely smooth. Serve immediately with a sprinkle of mini chocolate chips, or refrigerate for later. I LOVE the new layout!! 🙂 It makes your food photography look even more mouth-watering than usual! How yummy is this! 😀 I want to try this now! Awww thanks so much Annie! Love your new design too! Pingback: Low Carb Brunch - Home. Made. Interest.